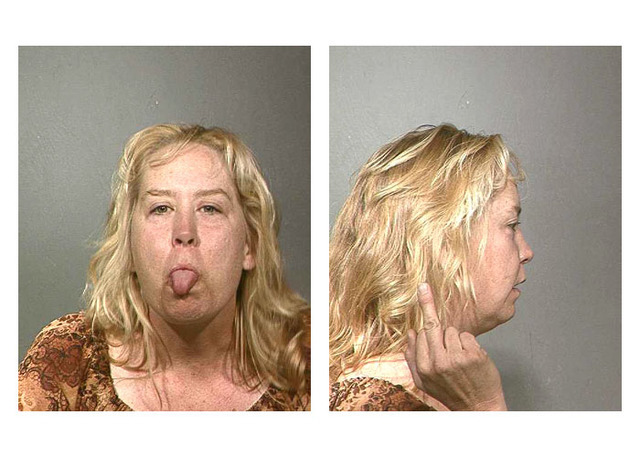 Smoking Gun's 2005 top 15 mug shots of the not-so-famous. Sure, we've posted booking photos of famous arrestees like Johnny Cash, Vince Vaughn, and Michelle Rodriguez, but our favorite images aren't of celebrities--we actually prefer the mug shots of the unknown criminals whose arrests will never be chronicled on "Behind the Music." These allegedly lawless ladies and gentlemen should be recognized for their awful hair, unfortunate clothes, array of bandages, and goofy smiles. On the following pages you'll find some of our faves. Her women is very very funny her face is very pretty I love this women.